IT sector is one of the areas where technologies change faster than other industry. And new buzzword in IT industry is, AI or artificial intelligence. Artificial intelligence is such a technology where a machine can take decision itself like a human being. So far, Artificial Intelligence where used only in high-tech Robots etc. But it has started to usher in each and every industry. Artificial Intelligence has started to use in different area whether a robot working on hazardous gas factory or in banking sector. And Digital Marketing is not intact in this regard. Artificial Intelligence is being applied in Digital Marketing also. Big brands like Amazon, facebook, Twitter etc are investing million of dollars in Artificial Intelligence to track behaviour of their visitors and show product information and other content as per their habit of use of the website. For example, in facebook you may have seen the comments of those users who are frequently engaged with you by either sharing the content or making comments are shown with priority. 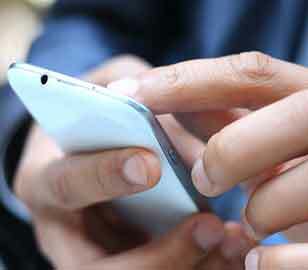 With the increase in internet facilities and arrival of smart phones more and more peoples are connected with different devices particularly smartphones. Peoples spend more time with internet as compared to previous era. Even a simple photo which can be shown in physical devices to a friends are shared in social medias. Also, if we talk about e-commerce companies like Amazon, eBay, flipkart etc. There are more and more peoples who love to buy products using online method rather than going to physical stores. This has paved the way for opportunities for ecommerce companies to grab more and more customers. They not only engage their customers with offers but later also they keep track of the products the users like. In this regard, Artificial Intelligence plays great role in gathering data and providing to these e-commerce companies so that the data can be used for further marketing purpose. With the use of artificial intelligence, Digital Marketers can track which product the user browsed and which one the user has interest. Google is already using artificial intelligence in its advertising program tool called Adword. In Adword you may have noticed, if you have interest in shirt and clicked once on Google Ad, it will repeatedly show you shirt Ad. Because it tracked you once that you have interest in buying a shirt. Artificial Intelligence is also being used with virtual assistant. With the combination of AI, virtual assistant can do great wonder. Frank.ai is one of such virtual assistants which can take care of customers request, process it and also keep track of all these itself..Frank is connected to more than two million websites, including Facebook, Twitter, YouTube, LinkedIn, Instagram and Google, Frank utilizes the potential of AI in order to manage advertising, change bid, spend money in advertisement as per ROI etc. With Frank, Digital Marketing person does not have work at all. All is done through artificial intelligence. What one has to do is just fill the necessary information of the customers requirements and rest is done using artificial Intelligence. So, what is important about this is that human can make mistake but this artificial intelligence hardly does mistake manage the campaign with perfection. And with the help of Frank, companies can maximize their ROI by investing their limited budge. Not only that, companies also get benefited by investing less and getting more ROI. Though Artificial Intelligence is still in its growing stage and work in being done day-in-and-out to improve its intelligence. But companies like Frank has started to harness the power of artificial intelligence. Digital Marketing agencies are also on the toe and adopting their marketing strategies as per new Artificial Intelligence rules. Suhanasoftech Pvt Ltd is one of the Digital Marketing companies in Kolkata which keep tab of Artificial Intelligence trend and is prepared to utilize its power in Digital Marketing. With the arrival of Artificial intelligence, Digital Marketing training institutes are also prepared to start artificial intelligence courses. Acesoftech Academy is best Digital Marketing training institute in Kolkata which provides Advanced Digital Marketing course in Kolkata. It also teaches how artificial intelligence is used in Digital Marketing.